The United Nations is concerned that five deadly canisters buried at the bottom of the sea have been disturbed near the Philippines Trench. 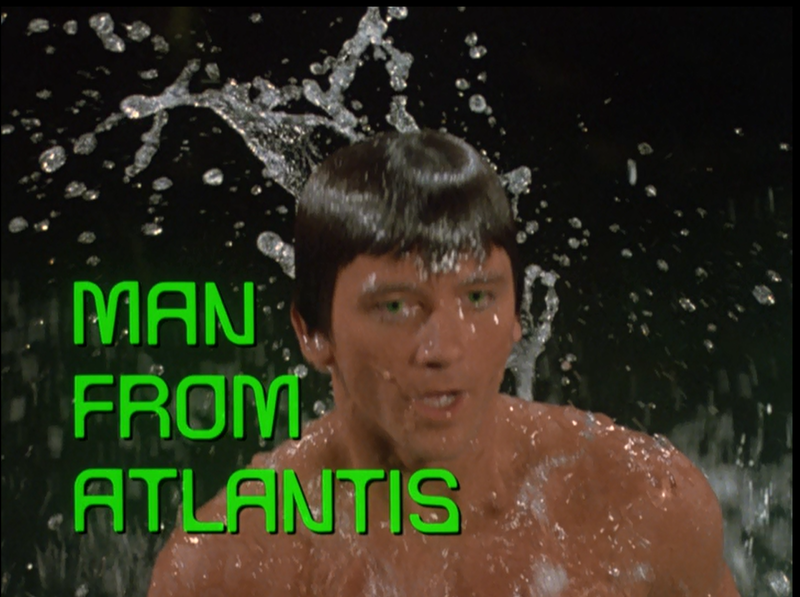 The Cetacean is dispatched to an island there, and learns that the natives on a small island now worship Muldoon (Ted Neeley): the rogue who was believed trapped in an alternate universe. 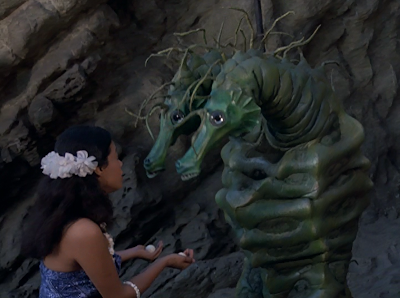 It turns out that Muldoon escaped captivity there, and did so with a giant two-headed pet sea horse named Oscar. Now, he has seen to it that the natives worship Oscar as a deity, and bring him (and thus Muldoon) a wealth of riches in pearls. Unfortunately, Oscar has also retrieved the five deadly canisters from the ocean floor. 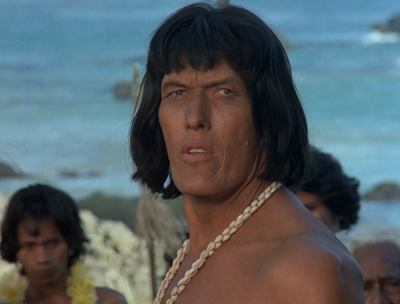 Now Mark must navigate a tricky situation between the native leader (Ted Cassidy), Muldoon, and “The Powerful One” (Oscar) to retrieve the cylinders before the toxic materials within are released. 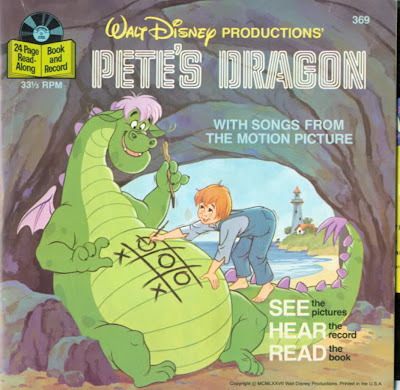 Here, another Mudd-like scoundrel exploits a primitive culture (with a giant sea-horse monster, no less…) so as to acquire wealth. The episode introduces the culture, its politics, its beliefs, and its exploitation. Like Mudd, Muldoon is never really treated as a villain, just a charming guy who doesn’t have his priorities straight. My favorite aspect of “Scavenger Hunt” is not the return of Muldoon, however, but the depiction of Oscar, the two-headed sea-horse. The costume ain’t actually half-bad, and the critter certainly has character. 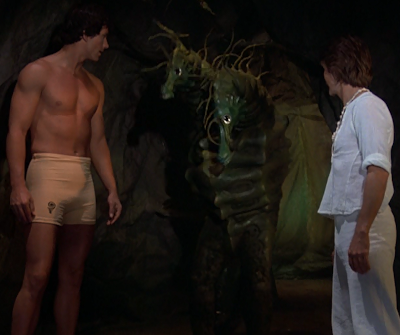 In terms of its depiction, the creature is a big improvement over the last sea monster we saw: “Man o’War’s” jelly-fish. This is also another episode that depicts a doorway between worlds. 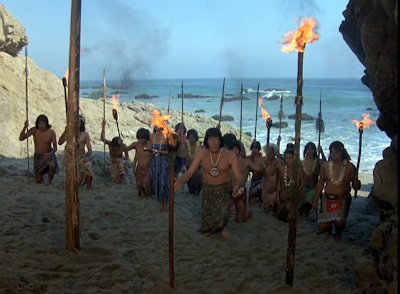 Here, Muldoon and Oscar show Mark a doorway on the beach that leads back to the world of “Giant,” the world they escaped from. Oscar drags Muldoon back thus ending his threat here on Earth.